In the morning, arrival at Udaipur. Meet our tour representative who helps you with an assisted transfer to the hotel. Complete the check-in formalities. 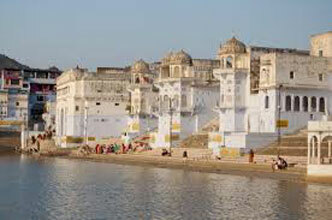 One of the most romantic cities in India, Udaipur is located in southern region of the royal Rajasthan state. With Aravallis in the background, the city looks wonderful. The city houses a number of temples, forts along with other delights. The evening is scheduled for a boat ride in Lake Pichola with placid waters. Later, take a walk around the old city, which is set close to the Lake. Later on, visit Bagore Ki haveli for attending a special Cultural Show. Whole of day 2 is scheduled for city tour of Udaipur. Some of the popular attractions that you visit today include City Palace Museum- built over a span of 400 years, this palace museum is stocked with several royal offerings; Vintage Car Museum- owned by Rana Sriji Arvind Singh Mewar, it has a number of rare vintage and classic car collection, and Jagdish temple- Also known as Jagannath Rai temple or Jagdish-ji temple, it was built in 1651. Next visit is to Mansapurna Karni Mata Temple through Ropeway. Savor the wonderful views from the top. After sightseeing, head to the local bazaars for shopping. In the evening, visit Sajjan Garh (11 km). Hike up to the hilltop to treat your eyes to the breathtaking views of the Udaipur city. 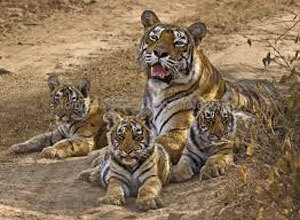 Day 3 is for half-day excursions from Udaipur. There are a number of options- you can take your pick. Two of the options are day's excursion to Ranakpur Jain Temples and Kumbhalgarh Fort (110 km - 2.5 hours - one way) OR Nathdwara (Krishna temple - 42 km - 1 hr) on the way visit Eklingji and Haldighati Museum (Maharana Pratap memorial). In the evening, you have option of Visiting Shilpgram Craft Gallery near Fatehsagar Lake for getting your hands on some wonderful handicraft items OR enjoying another heritage walk and boat ride Lake Pichola. Today, travel to the peaceful town of Bundi by road (via Chittaurgarh). Bundi is an erstwhile princely state with rich collection of heritage monuments. Embark on a heritage walk, exploring wonders like Sukh Mahal- lying on the banks of Jai Sagar Lake, it has beautifully carved Chhatris; Maharao Raja Bahadur Singh Museum- placed in Moti Mahal, it houses royal weapons, stuffed wildlife and royal portraits; Bundi Palace- built during the reign of Rao Raja Ratan Singh, it was home to the royal family of Bundi till 1948, and Chitrashala Art Gallery- an 18th century structure with wonderful paintings. 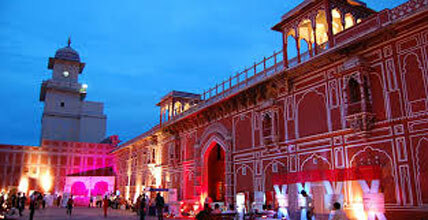 On the 5th day of the tour, get transferred to the 'Pink City', as Jaipur is lovingly called. As you reach, check into the hotel. 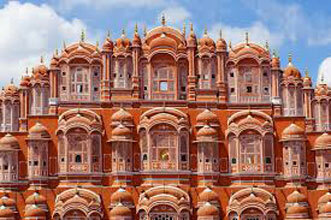 Jaipur is the capital city of the royal Rajasthan state and is home to a number of architectural wonders. 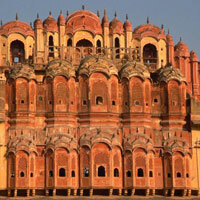 After relaxing for a while, get ready for sightseeing in Jaipur. First, you visit the royal observatory of Jantar Mantar- a UNESCO World Heritage Site. 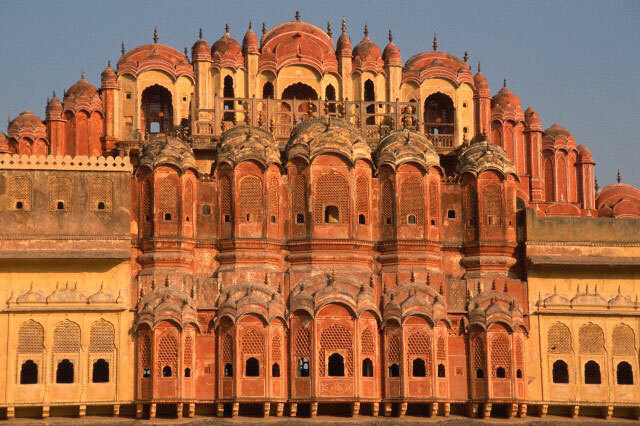 Next, you visit the City Palace complex- housing several palaces along with Chandra Mahal where the royal family still resides and Hawa Mahal- built for the women of the royal household, it has around 953 jharokhas (small windows). In the evening, indulge in shopping for handicrafts, imitation jewelry, precious stones, traditional clothes and much more. Later, head to Chokhi Dhani, a recreation of a traditional village. Enjoy games, bullock cart ride, dinner etc. Whole of this day too is for sightseeing and other delightful activities. 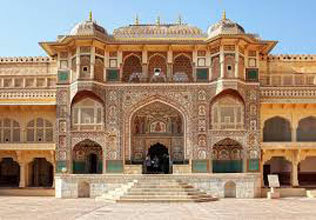 In the morning, visit the magnificent Amer Fort. Opt for an elephant ride up to the gate of this hill fort. Around 11 km from the city, this fort has been built in marble and red sandstone. Visit Diwan-i-Am, Diwan-i-Khas, Sila Devi temple, Sheesh Mahal and other delights. The next attraction is the well-stocked Albert Hall Museum- The oldest museum of Rajasthan. It has toys, wood craft, metal objects, carpets, an Egyptian mummy, weapons etc. Later, visit Anokhi Textile Museum of hand printing. At the end, you can either relax for the day or can visit a vocational training centre for street children, Ladli. Children here make cards, bags, jewelry and other kinds of handicrafts. Today is the last day of your tour. Get transferred to the airport / railway station for your onward journey.